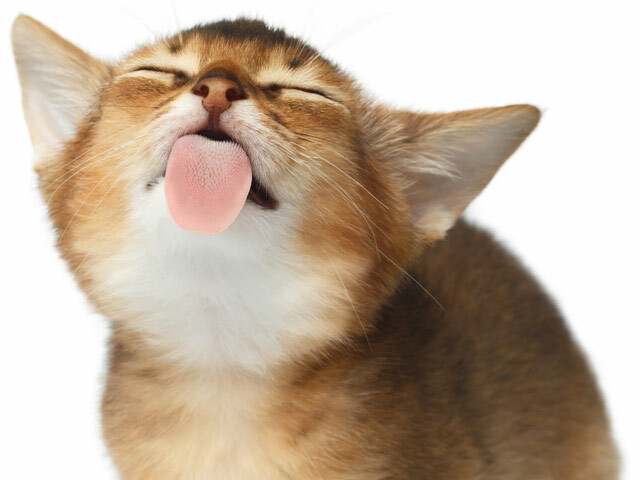 Some cats lick themselves or the air when they get pets and scratches from people. Let's explore why this happens. If you are gently scratching an area of your cat's body that she can't reach herself, it might be dirty or itchy because it's escaped her careful grooming efforts. 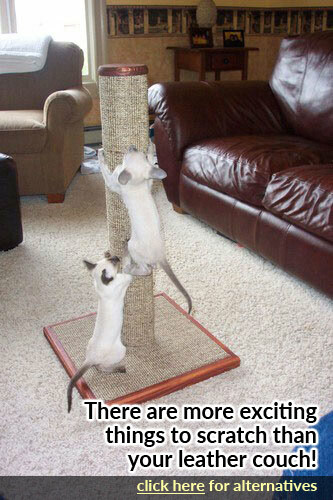 This happens commonly on the rear end and tail-head areas of cats that are overweight. When you touch that area, it can trigger an automatic desire for your cat to groom the spot, but since she can't reach it, she licks at the air or a part of her body that she can reach instead. If your cat has fleas, mites, or allergies that cause itchy skin, your petting might be scratching an itch or causing an uncomfortable feeling for her. Her response might be to automatically begin licking, but some cats will also bite or scratch the person doing the petting, so be careful. Some cats seem to find pets and scratches delivered by a human uncomfortable. They may not like to be touched anywhere, or there may be certain parts of their body where they'd rather not receive petting. Other cats have a condition called feline hyperesthesia syndrome, which causes their skin to be highly sensitive, so a small pet or scratch might be painful or extremely uncomfortable. Cats that are friends often groom each other simultaneously. Your cat's behavior of licking herself or the air when you pet her might be triggered by that mutual grooming desire. If your cat starts licking herself or the air when you give her a pet or scratch, have her checked out by a veterinarian for skin conditions. 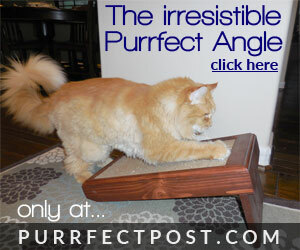 It's important to evaluate the rest of your cat's body language when this behavior occurs. If she appears otherwise calm and happy, leans into your petting, and seeks it out again when you stop, she is probably happy with the way you're petting her. However, if she acts upset, leans away, or moves as though she might bite you, she probably doesn't like what you're doing. If the behavior only happens when you pet a certain area, consider whether this might be a spot that your cat can't groom herself. If so, you can brush it for her daily to keep it clean and comfortable for her. If your cat seems to dislike being touched in certain spots, avoid petting those areas both to respect her comfort and to avoid being bitten or scratched.